Modern businesses demand a communication system that enhances businesses efficiency, workforce productivity, mobility and modern technology features that give you control of your business – with no fuss and no hassle. When looking for the right business phone system, you need to look for one that allows at the most basic level, low setup costs and fast configuration, comparable to Euphoria Telecom’s cloud-based business phone system. In addition to hassle-free setup and configuration, here are some other key reasons why Euphoria Telecom is growing and gaining market share. Businesses need to acknowledge an increased need to cater for the modern workplace, where more employees are “on the move” or “digital nomads”. When reviewing business phone systems, ensure that the system you select has all the necessary functionality to allow and support your workforce to move and work from remote locations, by using their mobile phones, however, still controlled, and managed under a single cloud PBX. Using Euphoria Telecom’s system gives your business the advantage of access and control over your phone system and subsequently the entire workforce. All the management, control, access, changes necessary to ensure an optimally performing workforce can be accessed directly from your browser and changes will be applied irrespective of the location of your workforce or staff member. Forward-thinking businesses are dedicated to selecting tools and technologies that improve their operational efficiency across all departments, satellite offices and national presence. Euphoria Telecom’s system ensures seamless communications across internal business channels as well as free inter-branch calling and “on-net” calling. Seamless functionality such as call transfer between different office locations or remote workers, sharing office business phone system resources nationally, controlled call queues, hunt lists and auto-attendant features are all included in Euphoria Telecom’s system. As the business market evolves over time, your business will evolve and change too. 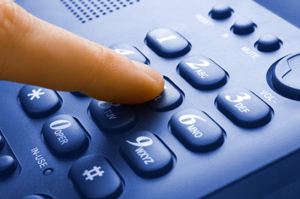 Your phone system must change with the times to remain competitive and ahead of the curve. Euphoria Telecoms has a strict “no long-term contract” policy for this reason. Businesses need the flexibility and freedom to find solutions that work for their specific business setup. Euphoria Telecom’s system is scalable and robust – this allows your business to increase or decrease extensions as your usage requirements change. All these changes can be done within 30 days of a change request. With a cloud-based business phone system, your provider manages your system, and provides software and feature upgrades automatically for you. However, users who want to or need to configure and manage their own services require an easy-to-use customer interface. Euphoria Telecom’s TMS (Telephone Management System) provides this functionality. Built with customer-centricity in mind, the TMS is so easy-to-use, any authorized person in the business can use the TMS. It is so simple. With more demanding customers and increased market dynamics, companies must seek ways to stand out and achieve competitive advantage. A cloud-based phone system may be the very asset your business needs to boost your company’s credibility. Euphoria Telecom’s system offers tools such as reporting, call monitoring, call analytics and ways to improve productivity. 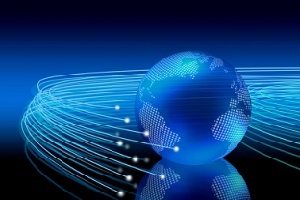 Among the numerous advantages of Euphoria Telecom’s system, we pinpoint workforce productivity, call efficiency, cost saving through call analytics, as well as the basics such as extension transfer, call recording, voicemails, conference calls, customization of an auto attendant, and music for on-hold calls. Euphoria Telecom is a cloud-based business phone system, designed for the business that wants to take advantage of operational efficiencies, workforce productivity, enable workforce mobility and still have complete control over their system. For more information, visit the Euphoria website.